Celtic Rider staff can tailor tours to suit specific requirements. These tours can start and finish at any time to include accommodation of choice with best riding routes to match. Because of our long and intimate knowledge of our ancient island road network, Celtic Rider staff will put together a custom tour that will ensure experiences and memories to last a lifetime. Just contact us by email or phone outlining your wishes,and any specific requirements, and we will apply our knowledge to make your dream come true. This is what we are here for and our team motivation is to ensure that you have the best vacation while riding our beautiful emerald isle. 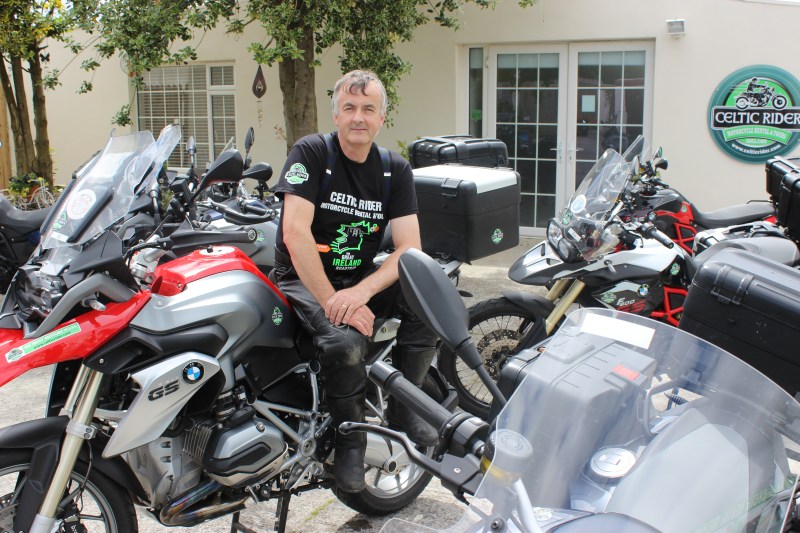 Paul Rawlins, founder and proud team leader of Celtic Rider Motorcycle Rental & Tours.